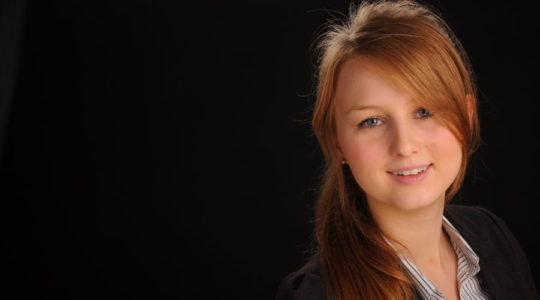 Grant Marketing Gives a Warm Welcome to Madina Madraimova as an Inbound Marketing Strategist. Boston, MA - June 19, 2018—Grant Marketing, a Boston-based digital marketing agency and Certified HubSpot Agency Partner, is excited to announce the addition of Jason Underhill in the role of Inbound Marketing Strategist to its inbound marketing team. The addition of Underhill to Grant’s team is part of its continuous effort to innovate, plan, and implement inbound marketing strategies and campaigns for its diverse B2B clientele. 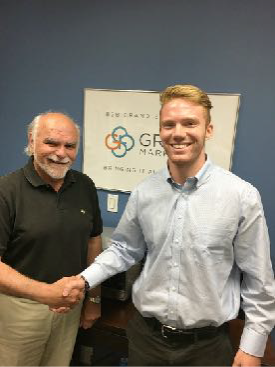 Boston, MA—June 7, 2018—Grant Marketing, a full-service Boston-based marketing agency recently welcomed Luke Chadwick to its team. Chadwick will work at as intern for the summer of 2018. Chadwick will be focusing on client relationships, implementing new inbound marketing strategies, and learning how the B2B industrial marketing agency functions. 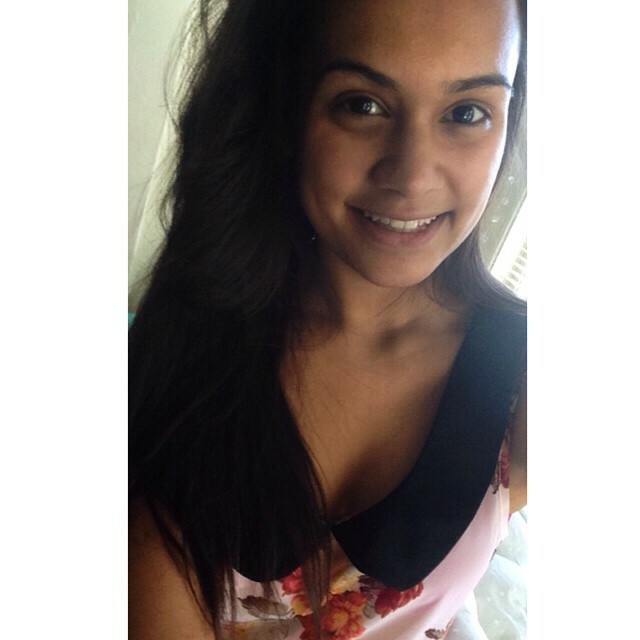 Boston, MA—October 23, 2017—Grant Marketing, a Boston-based digital marketing agency and Gold-Certified HubSpot partner, has announced the addition of Rebecca Ahmed as its new Marketing Coordinator. 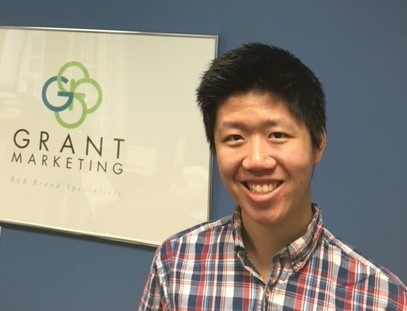 Grant Marketing fuses inbound marketing, technology, and brand development processes to provide its diverse clientele with an array of full-service B2B marketing strategies. 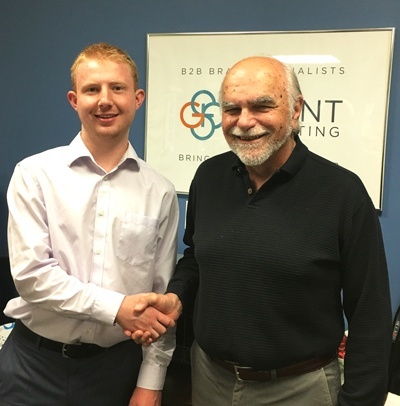 Grant Marketing, a full-service Boston-based B2B brand development and inbound marketing strategy and implementation agency, offers internship opportunities to the next generation of marketers. 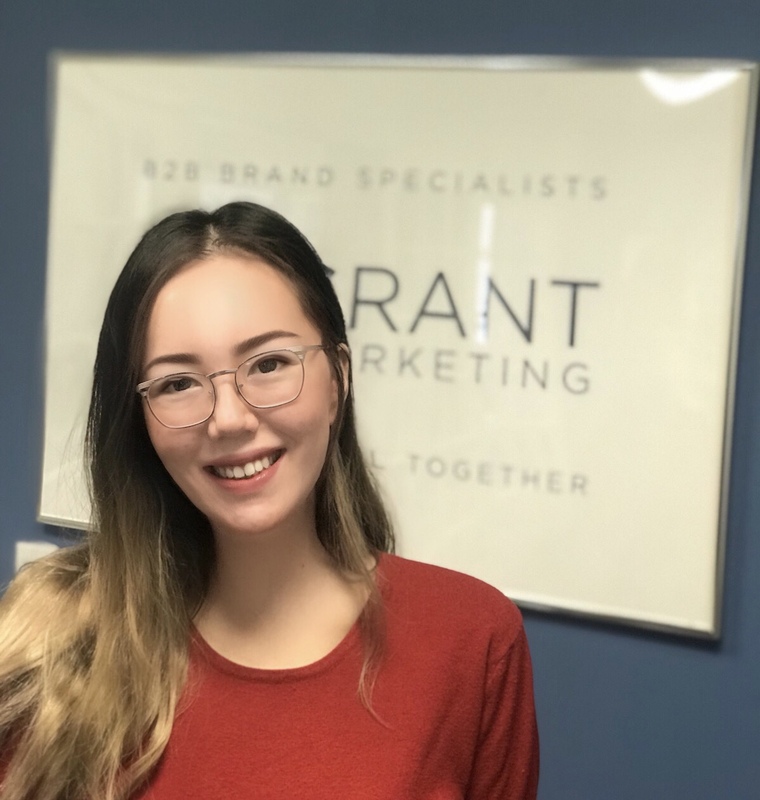 Grant Marketing, a Boston branding and marketing agency and HubSpot Gold-Certified Partner, is pleased to announce the addition of Esther Pia Cordova—in the role of Front-End Web Developer—to its growing inbound marketing team. The addition of Cordova to Grant's team is part of its ongoing effort in planning and implementing inbound marketing strategies and campaigns for its diverse B2B clientele. Bob Grant, President of Grant Marketing, said, "Digital platforms have fundamentally changed how people and businesses communicate—how customers engage with brands, consume content, and move along the buyer's journey. At Grant Marketing, we help B2B companies design, build, and optimize their digital touchpoints. Digital fingerprints are incorporated into all the work we do: websites, landing pages, calls-to-action, email templates, social media, and video marketing, and all aim to drive traffic, engagement, lead generation, and ROI analytics. 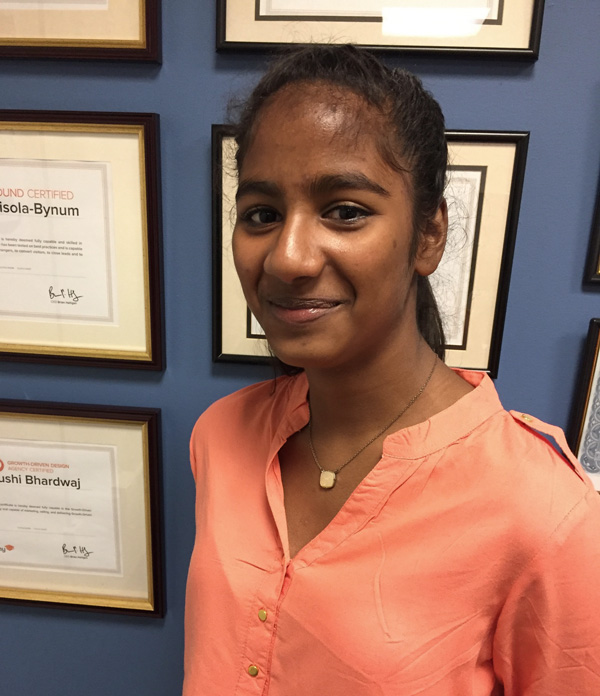 We're excited to have Esther on board to help our clients succeed in their digital marketing." New England-based manufacturers have a unique opportunity to participate in an event created just for them. On Monday, March 20, 11 a.m. to 3 p.m., there is a free lunch & learn, called "Manufacturing Revenue for 2017 and Beyond," which will be held at HubSpot headquarters in Cambridge, MA. The event is headed by panelists from sales and marketing consultants that work in the manufacturing sector, along with Adam Chase, President and CEO of Chase Corporation. 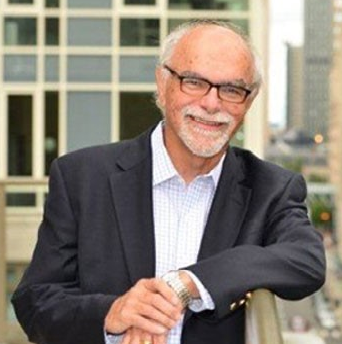 Bob Grant, President of Grant Marketing, a Boston marketing and branding agency that specializes in industrial manufacturing, will be speaking on the panel of esteemed marketing experts. Grant Marketing is a Boston-based B2B marketing firm that helps B2B companies with brand development and inbound marketing strategy and implementation. For the past five years, Grant Marketing has worked in collaboration with The Education Cooperative (TEC) to develop a marketing mentoring program for aspiring high school students. This summer, Grant Marketing is pleased to offer Yuhang Zhang an internship in cooperation with TEC. Caton Connector Corporation of Kingston, MA was selected by SBANE to receive matching funds under the Defense Diversification Program. Caton Connector is a manufacturer of high-voltage connectors and cable assemblies for use in the military, semiconductor, utility, and avionics industries. As well, Caton Connector is a preferred distributor of a large variety of wire—including flat wire, with both high- and low-voltage applications. Boston, MA -- 05/05/2016 -- Grant Marketing—Boston-based, HubSpot Gold-Certified Partner, B2B marketing and branding agency—recently moved to its new, expanded office space at 581 Boylston Street.